To attend and be part of the Community of Dragons who could support these enterprises please book a ticket today. Every penny of your £10 will go direct to one of the enterprises on the day. We’re bringing entrepreneurs, investors, and other change makers together to learn from each other, form new relationships, and begin enterprising collaborations. Social, sustainable, regenerative, resilient, innovative – enterprises creating meaningful livelihoods and contributing to the community in positive ways. Everyone has a stake in their local economy and everyone can be an investor, too. Entrepreneurs need all kinds of support. Financial capital is important, but so are other forms of support, from expert mentoring to child care. Entrepreneurs supported by the community do better. The economy does better, too. It’s part of what make Somerset a great place to live and raise a family. 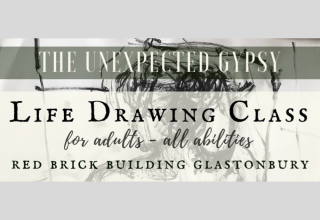 We’re using the model set up in Totnes by REconomy – and we’ll have Jay Tompt and Hal Gillmore helping on the day sharing their experience and advice. We also have exciting speakers lined up for the day including Bev and Sarah from Eat Festivals! and Richenda Macgregor from Studio45. Plotgate CSA – to develop low tech tools usable for ecological food production. 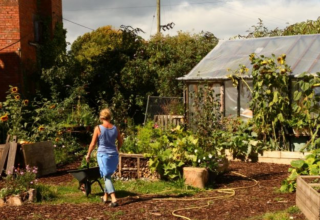 Bengrove Market Garden – to develop an apothecary garden to support medical herbal practices, complementing their existing organic market garden business. Somerset Local Food – to support a new network of local food champions. Baltonsborough Village Shop – to develop trade in local food providing a display stand for use in the shop. New start-up following closure of previous shop. Tinkers Bubble – to develop their apple juice business with pressing on site. Red Brick Books – to start a book publishing business based on local and ecological issues. New start-up. 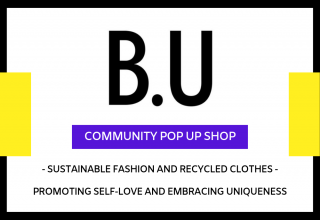 Pop Up Shop – a pop up shop to raise funds for the Red Brick Building selling good quality clothing and other items on a monthly basis. New start-up.